Members of the Kenilworth Twinning Association welcomed 13 visitors from Roccalumera in Sicily last week for a five-day stay. The group, who were all hosted by KTA members, enjoyed a guided tour of Stoneleigh Village, a Skittles contest at Leek Wootton, a full day out to the World of Wedgwood and Trentham Gardens in Staffordshire, a day trip to Birmingham and a Farewell Supper attended by the Mayor of Kenilworth, Cllr Mike Hitchins. 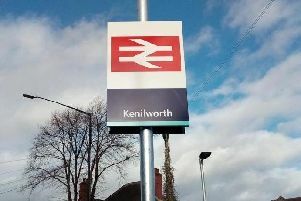 The Chairman of the Roccalumera Twinning Group, Andrea Vadalà, expressed his thanks for the warm welcome and looked forward to strengthening the growing friendship link between Kenilworth and Roccalumera. The visit was part of a busy year for an expanding KTA, having visited the French town of Bourg-la-Reine in June and with members looking forward to a visit to Eppstein in Germany in August.